I have had numerous sessions with Barbara that assisted greatly with my day to day stress. There has been a definite difference in how I feel and deal with people and situations that causes stress at work. As a Mental Health Specialist, I was skeptical at first, but now I believe in the power of flower essences. As an IT Project Manager working on very challenging projects and dealing with constant issues to manage, the Bach Flower essences have helped me stay focused, calm and patient as I deal with the daily events of the job. Thanks, Barb! I have received Healing Touch periodically. After one session, the next morning, I noticed that there was a purple rash. I went to the doctor’s office. It turned out that I had Lyme’s disease which had not shown the typical symptoms. At least, not until the Healing Touch session, which I attributed to being very beneficial. I got the medical treatment that was needed. I have had many body aches and pains over the years, and the Healing Touch always provides an excellent release and comfort when I need it. I have had Long Distance Sessions with Barbara that assisted greatly with my healing and moving forward in my life. I noticed a difference on my energy even on our first initial phone conversation. I have recommended Barbara to other people and their response after having long distance sessions with her have been very positive and definitely had a healing effect on them. I highly recommend Barbara as she is a very gifted healer. Bach essences have helped a lot. Thanks. I’ve been under stress for the past 2 or 3 weeks. I have found taking my personalized blend of Bach essences has certainly helped me keep my equilibrium and getting through this nicely. 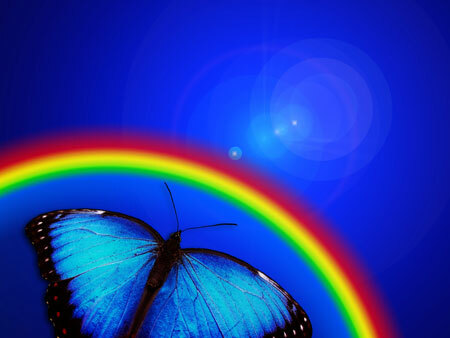 Rainbow Chi Energy Healing provides complementary care and wellness support. Here are a few comments from our clients. We are always happy to hear from our clients. Please contact us with your feedback!